Pet store has a great earning potential. If you live in an area where people have pets like dogs and cats then you can start a pet store or a boutique offline as well as online. Here we read how you can get started with it. Before you think of starting a pet store you need to know different types of pet businesses. There are over 10 to 12 different services that you can offer to your customers. Here we give you a list of some of them that you can include when you start your new pet store. It is not necessary to give all of these services but you must have few of them which are basics for any pet store. dog, how to sit, how to walk and how to poop. Your store will be giving training in all of these areas. When a customer comes to your store and asks you to train his or her dog then you must be able to train the pet completely. training. Here you have to do more. You have to do things like bathing the dog or cat, tying bows around their neck, clipping nails and even cleaning their ears. The pet must be well groomed as asked by your customer. owners are willing to do anything when it comes to food. Your food for the pet must be all natural and healthy. Food that you give must also be edible for pets suffering diabetes or kidney problem. You must also have complete diet plan for the pets. Many pet owners want their dogs to be in safe hands. They also want their pets to learn all the social behavior while they are out on work. 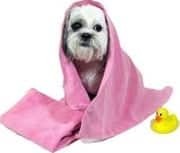 Pet Clothing and Accessories, Pet Toys: Although this should be the first in the list but I am mentioning now. If you find it difficult to open a day care or even training a dog then you can always sell clothing and other pet accessories. Your store must have every item related to different pets like dog, cat, birds, and even exotic animals like snakes, lizards etc. business. You can start this service in your neighbourhood. Although the service is optional but you can still make good money out of it. The best part is you don’t need any investment and special skills. You can start this service with minimum but make maximum. Exotic Fish and Aquarium: This service is also optional. You can rent exotic fish aquariums to your customers and earn some money. Fish aquariums are must for an office or home. People love because it enhances the aesthetics of the place where they are placed. Doctors, restaurants, lawyers, business offices, homes, and hotels they all need aquariums and you can rent them for a month. and photos are required for the calendars, T Shirts, mugs, greeting cards, hats and other accessories. If you are a good photographer then you can start this service also. So these were some of the pet services that you can choose from. Now let us see how you can start a pet store. You can also read how to write a pet business plan for further info. Before you open a store you need to consider what all it takes to get started. If you are starting the business from home then the cost could be less but if you are renting a shop then cost could go higher. If you are going for a retail store then you need to spend at least $10,000 to $25,000. However if you are also manufacturing the products like food items and other accessories then the cost could be $100,000 to $200,000. So the starting cost depends upon what you are trying to do. Now if you want to earn then you have to tap all kinds of market. Retail Store: Here you are going to buy products from the wholesaler or the dealer and you will sell them through your store. This is the easiest way to start your first pet store. Internet Store: If you don’t want to do your business offline then you can do it online. However here you need inventory to store products and also you have to ship them to customers. Wholesale Store: Wholesale is where you are the dealer and you will supply items to other retail outlets. Here you need a big warehouse where you are going to store your products. Home Delivery/Shipping: Here you need no inventory or a shop. You have to ship products from the warehouse of the manufacturer to either the retailer or the customers. You don’t need any warehouse or a shop, just a phone number where different parties can contact you. If you are a manufacturer then you have to set price for your products. The price must be reasonable to customers but in the end you must be able to earn some profit. In order to expand your business you must know how to market it. You need to explore all the platforms for marketing your business. Use offline as well as online methods to spread a word about your business. The earning potential is great but you need to know how to reach out your customers. This section of the article is dedicated to starting the pet store online. Here is step by step procedure for starting an online pet store. You got to choose right name of your business when you buy a domain and hosting service. The name must reflect your business and you must not compromise on this. Setting up a website is the first step. Then you have to find a wholesaler or a manufacturer that is going to supply products to your warehouse. You need a warehouse to store products and then ship it as orders come online. You can find wholesalers online. You have to acquire a merchant account though your bank or you can also become an affiliate of a bigger pet store. Finally you have to promote your website online so that more and more customers would come to your site. You need to learn various online marketing strategies like SEO, social media, classified ads, paid campaigns etc. Refer 50 ways to promote your business online. You need traffic coming to your site. So this was an article on how you can start a pet store and make money with it.